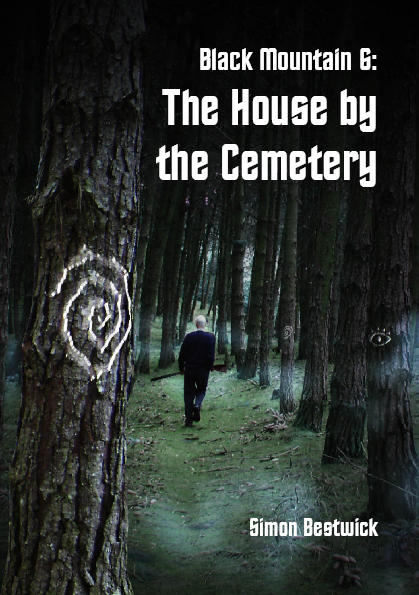 Just a short blog today, later than anticipated, just because Der Blogmeister decided to have a lie-in (oh okay… he fell asleep while reading… ), to let you know that the sixth episode of Simon Bestwick’s Black Mountain serial, The House by the Cemetery, is now available for purchase on Amazon. Once again the cover artwork is by Neil Williams. It began with a dream; it ended in obsession, insanity and death. The old farmhouse stood on high ground near the mountain of Mynydd Du. Long-abandoned though it was, Ronald Ashington still saw potential in it. The Ashingtons had a vision: a luxury hotel, a hidden gem tucked away in the wilds of the Welsh countryside, a home away from home for couples looking to get away from it all. Yes, this house was perfect, except for the name: Ty Mynwent. The house by the cemetery.